The early rains hold different promises for various people. For farmers, it’s a dream come true. However, for other people in none-Agro related businesses, it might be a curse. For those who reside around coastal areas or swamps, it is definitely a big curse. Annually, the downpour differs. While it is high in some years, it can be low at other times. In 2018, the National Emergency Management Agency (NEMA), declared 12 states along the River Niger and Benue as worst affected by flood disaster. According to NEMA, several casualties were recorded in numerous Nigerian states following heavy rains that caused the Rivers Niger and Benue to overflow. As a result, villages like Joinkrama Area 1 to 4, in Engenni kingdom, Port Harcourt, Rivers State, were completely wiped out when the river overflowed its bank and destroyed the village. At a point, residents of the village had to be evacuated in a bid to avoid loss of lives. The Director-General of NEMA, Engr. Mustapha Maihaja made this disclosure when his agency hosted the monthly meeting of the Forum of Spokespersons of Security and Response Agencies (FOSSRA). 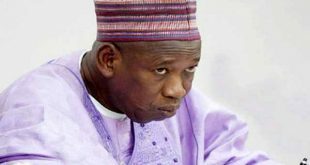 According to him, the most affected states included Benue, Kogi, Niger, Kwara, Anambra, Delta, Bayelsa, Rivers, Adamawa, Kwara, Kebbi and Taraba. With 2019, commencing and the rains already here, people are questioning what it has in store. Known to normally start in April or May, there are no specifics to what the skies can do, especially with Lagos and other southern states already witnessing heavy downpour. 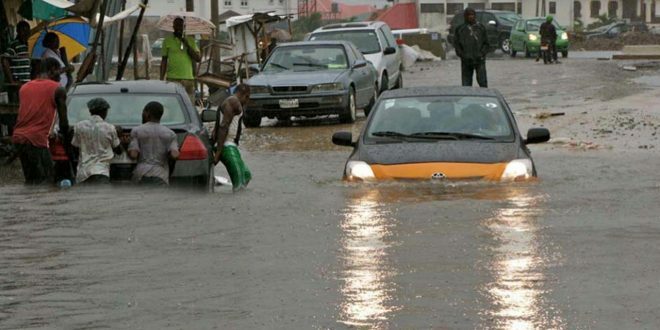 On Sunday, January 20, Lagos and surrounding south-west states welcomed the first rain for the year 2019. The rain of that Sunday meant diverse things to many people. While some people were happy for the rain translating it to signs of a year that promises plenty in harvest and reduced food prices, others were not so happy about it, as flood was the order of the day. While it had been raining before then, the rain was much more than had ever been witnessed in January in a long time. In Lagos State, metropolis such as PEN Cinema, Berger, Ojota, Ikeja, Maryland, Iyana Oworo among others, were locked down for hours with road users unable to ply the highway which had been taken over by water from the heavy downpour leading to very slow vehicular movement. 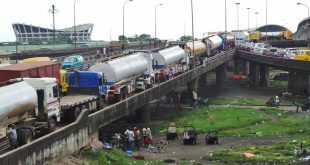 Reacting to the slow movement of vehicles, arising as a result of the rain of Monday, January 21, Mr. Segun Yekini, a trader in PEN Cinema, a commercial area in Lagos State stated that it was a terrible experience. “On Monday evening while going home, I was tempted to stay back at my shop just to witness the traffic jam. Everywhere was flooded with dirty water and there was a crowd of people at the bus stop. I didn’t like my experience at all as I wished I had somewhere to stay because when I eventually found a bike to take me home I got home very late. That day was just too bad. I eventually got home about 12 a.m. the following day,” Yekini said. “I was on my way to Lagos Island and a journey of 25 minutes became one of three hours. I went from the popular Lagos Toll Gate and tried using Ojota. On finding out that it was blocked, I had to link back to Oregun and try the third mainland bridge, but that was a much worse case, as I couldn’t get anywhere. A four-lane road was automatically reduced to one causing a lot of traffic. For hours, we were on the same spot; there was nothing we could do because no one could dare take their vehicle into the water. It was a sad experience,” said Akinjobi Michael, another witness who spoke with Saturday INDEPENDENT at Oregun. The heavy downpour wasn’t peculiar with Lagos State, as others also had their fair share. Calabar, the Cross River State capital witnessed its first rain of the year on Monday, January 7. The rain, which started at about 1.30am, fell steadily for almost two hours. According to a veteran banker, with passionate skill in climate change, resident in Calabar, Joseph Akpan, the early rain was a sign of good blessings from God. “I have lived in Calabar all my life and when you talk about rain and its antecedents, Cross River State is symbolic. This year, I want to believe that the early rain is a sign of blessing. 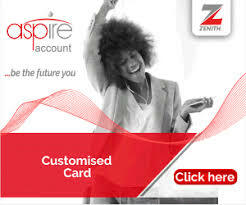 It shows that good things will come our way this year because I am already experiencing it,” he said. For residents of Oyo State, the rain lasted for one hour and 25 minutes and washed the refuse-littered open drainage in the town clean on Thursday, January 24. For the people of the ancient town, the rain brought relief to the people who had been experiencing hot weather since the commencement of the dry season. Ogun State was not exempted from the torrential rainfall that almost jeopardised the day’s business activities. Areas such as Itele, Lafenwa, Aiyetoro, and Otta witnessed the unearthing of refuse buried in hitherto dry gutters that had served as storage for waste materials before the coming of the rain. “It’s always bad anytime it rains because of the refuse that is always scattered all over the roads. There is a full dumpsite at Lanfenwa Bus-Stop. Anytime it rains, the area is always stinking; people find it difficult to breathe. I hope something is done about it soon because the environment is not conducive for one’s health at all,” said Henry Obianor, a middle-aged business mogul at Lafenwa. On Sunday, January 20, some parts of Enugu State also recorded heavy downpour, bringing relief to residents who had been suffering from the scorching heat. The rain, which started at about 7:15 p.m., lasted for about 30 minutes, however, it was huge. Without warning, the rains started dropping forcing residents into a desperate bid to secure belongings kept in the open. Achara Layout, Uwani Area, Independent Layout and Agbani Road were among the areas that experienced the rain and a disruption of their night-life. While the rain might have brought succor to some people, it wasn’t a good one for the family of 23-year old late Miss Chukwusom Nwoko, a resident of Onitsha, Anambra State whose corpse has now been deposited at Borromeo Catholic Mission Hospital morgue after drowning as a result of falling in a deep gutter which was full due to the rain. Reports have it that the deceased lost her life following heavy rain in the commercial city. Miss Nwoko was returning home after the day’s business with two other colleagues of hers when the rain started. A resident of the area said that to avoid the rain they quickly rushed into a nearby shop within Ochanja market round-about. According to the eye witness, “few minutes after, the owner of the shop asked them to leave his shop, claiming he wanted to shut it as it was getting late. “The girls pleaded with him to allow them to stay a little as it was still raining heavily, but the man ignored them and was busy locking up his shop. “The man raised the plank while Miss Nwoko was on it and she fell into the deep gutter filled up because of the heavy downpour. “On seeing that she has drowned, he briskly shut his shop and ran away before sympathisers and on-lookers who defied the rain to rescue the girl rushed to the scene,” the eye witness added. Expressing fears, as the rains begin, many have been asking for government’s intervention in areas of drainage system, channeling of gutters and canals to avert similar flooding experience in 2018. Typical of early rains, it comes with a lot of dirt. Over the year, this has been a problem in a lot of Nigerian states, as the drainage systems are nothing to write home about. Abuja, despite being the capital city of Nigeria is not left out, as Suleja, a suburb in the Federal Capital Territory (FCT) also witnessed flood and drainage related issues. In an interview with Saturday INDEPENDENT, a lawyer, Mrs. Ajibola Williams revealed the challenges of a community without a proper drainage system, as she claimed that it is an unpalatable fate she has had to endure for years. Blaming blocked drainages and the dirty environment of Lagos State on improper disposal of waste and the cancellation of the monthly environmental sanitation, she said she wished the government could go back to the days when it bans some products made with nylon such as pure water. Speaking on blocked gutters and drainages, Mrs. Chibueze Okeke, a community leader in Akinyerin Street, Itele, Ogun State said the residents have not really been impressed at the way the state government has been handling issues pertaining to drainage. According to her, anytime it rains, it’s a different ball game entirely as debris from the canals in the area overflow into the streets despite the gutter the community dug to prevent this. Mrs. Akinjobi Sarah (not real name), a civil servant in one of the government parastatals admonished people throwing refuse into the canal asking what Lagos State Environmental Sanitation Corps (LAGESC), is doing about it. “Government stopped environmental sanitation; no problem but what is the government doing to ensure that people keep their environment clean in each local government? What I don’t understand is people blaming the government for not performing their duties when we, in fact, are the ones harming ourselves. I see people throw refuse into the canal and when one asks them why they did it, they would turn it into an insult asking if I own the canal. Majority of the canals in Lagos State stinks with refuse and human waste, but what is LASESC that is in charge of environmental sanitation doing? Nothing, they are just folding their arms and crossing their legs in the office,” she said. Explaining that the government is on top of the situation and that the waste seeing in Lagos will soon be a thing of the past, Adeniyi Omoba, a top management staff of LAWMA designated to cover the Agege axis said the agency is fully prepared for the rains as they are going from house to house to dispose refuse. 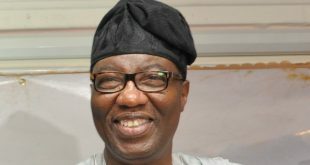 Advising people to dispose of their wastes properly, Omoba said that it will go a long way in preventing the blockage of drainages and in the long run, reduce flooding. While a lot of people are yet to be familiar with the weather and rain advise of NIMET for 2019, it appears this year will see a lot of rains and its related challenges. Next Burna Boy: What Manner Of Ambassador?